Washington and Lee University School of Law second-year law student Caitlin Peterson has been elected as national delegate for the American Bar Association Law Student Division. Specifically, Caitlin will serve as ABA Delegate of Diversity and Inclusion for the 2017-18 academic year. As one of three student delegates to represent the student division at the ABA House of Delegates meetings, Caitlin will occupy one of the most important and prestigious positions a law student can hold in the ABA. The Delegate for Diversity and Inclusion ensures that the backgrounds and viewpoints of all law students are brought to the attention of the ABA. In addition, Caitlin will chair the student division’s diversity committee, oversee a grant fund, and work with the Law Student Division chair to execute the division’s policy agenda, among other responsibilities. Caitlin, who attended the ABA Annual Meeting this August in New York, is already hard at work in her position. She is drafting a resolution to encourage diversity in the legal profession to present for voting by the ABA and is also advocating on behalf of the Law Student Division for the creation of a Mental Health Day in order to highlight resources available within the legal profession to address mental health issues. In addition, Caitlin is planning to get involved with the Law Student Podcast, which addresses legal issues important to law students across the nation through interviews with prominent attorneys and experts. Caitlin’s position with the ABA adds to an already busy schedule for her 2L year. 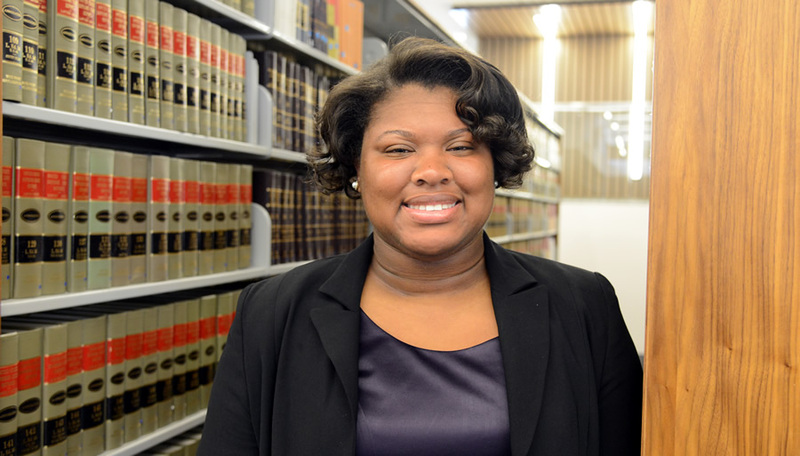 She also will serve as project manager for W&L’s Pro Bono Board and as vice president and moot court coordinator for the Black Law Students Association.